The Eureka Tower is supposedly the tallest building in the southern hemisphere, I say supposedly because there is a tower in New Zealand that also makes this claim. 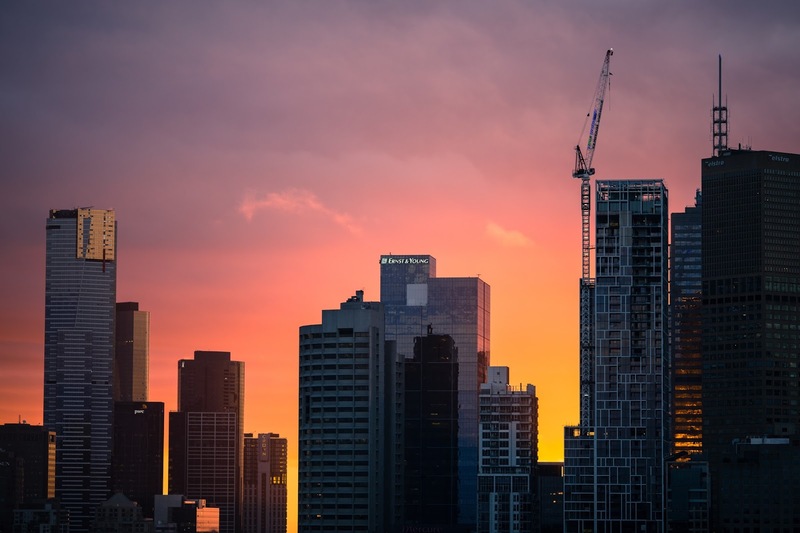 There is also an unfinished skyscraper in Melbourne that is technically taller than the Eureka Tower. When visiting the Eureka Tower, you spend approximately $18 AUD to journey to the top floor. Once there, you’re greeted with 360-degree views of Melbourne, and if you’ve ever visited Melbourne you’ll realise the likelihood of getting an entirely clear sky is slim to none. Once at the top of the tower there is only a small snack bar and an area called the Edge, which you will need to spend an additional $35 AUD and will be waiting about 1-2 hours until your turn. Most people walk around once and make their way back down, not exactly what I would want to spend my money on. Where to go instead of the Eureka Tower: There are so many incredible rooftop bars all around Melbourne’s CBD. Not only will you get fantastic views but you’ll also be able to grab a drink or something to eat and really be able to enjoy it. Two of my personal favourites: Naked in the Sky and Loop Roof. Both have incredible drinks, fantastic views, awesome food, and a pleasant atmosphere. Running around Melbourne and really need a toilet? Do yourself a favour; stop by the Sofitel Toilets. Enjoy your loo with a view 35 stories up. I’m sure many won’t agree with this statement, but I fully believe that Queen Vic Market is overrated. The market is set up like many you’ll find around the world. There are souvenirs, toys, fresh produce, fresh meat, and various food stands. The only problems: you’re NOT allowed to bargain with the sellers, and everything is SUPER overpriced. I found the souvenirs for so much cheaper at other locations. I would recommend Queen Vic Market only for the atmosphere. 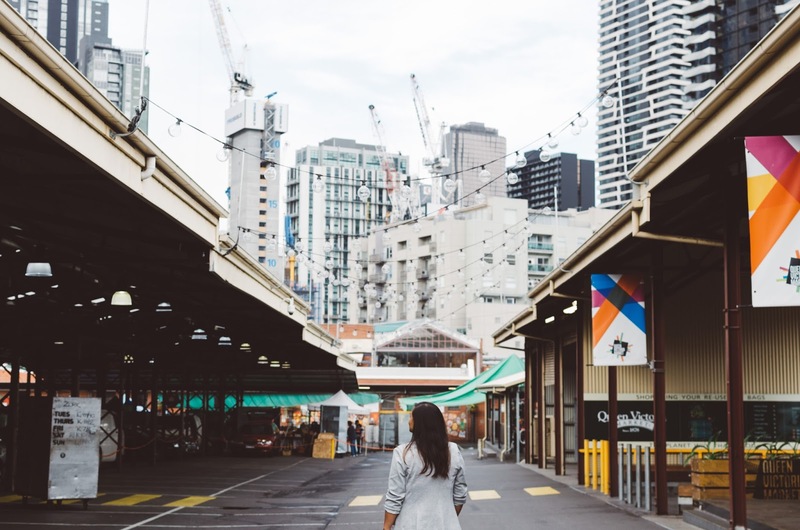 Where to go instead of Queen Vic Market: If you have the time, check out the South Melbourne or Prahran Market. You’ll find the same goods to that in the Queen Vic Market and usually at a much lower price. I’ve also found stalls here are a bit more flexible with the prices. I’ve been living in Melbourne for 2.5 years now and I still cannot figure out what the purpose of Fed Square is. There’s an information building, but it’s rarely open. Occasionally they’ll have special events going on in the square, but the architecture of Fed Square seems incredibly out of place with the rest of the CBD. There is a museum in Fed Square; however, I’ve found it to be quite overpriced. Where to go instead of Federation Square: Walk around the CBD. You’ll see the gorgeous architecture throughout the city. Simply glance across the street at Flinders Station or walk up Swanston Street to the Victoria State Library to see the beautiful architecture. There is always a free exhibit on the top few floors of the library! Please do not get me wrong, this is an incredible zoo! However, when visiting as a tourist, I was disappointed by the lack of Aussie animals. As it is in the CBD, it is often quite crowded. There are also a lot of free days at the zoo, so it will frequently be filled with little ones running around. If you’re travelling as a family and looking to save money, definitely consider the free days at the zoo. Where to go instead of the Melbourne Zoo: I personally much prefer Healesville Sanctuary and Moonlit Sanctuary. Both of these sanctuaries cater to Australian animals only. 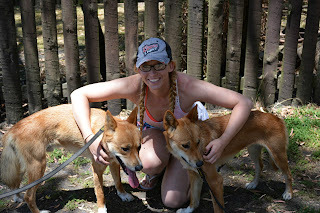 It is a foreigners dream especially if you love animals. Most of the enclosures are open, allowing the animals to roam freely within the sanctuary. You also have the ability to have close-up encounters with these animals. 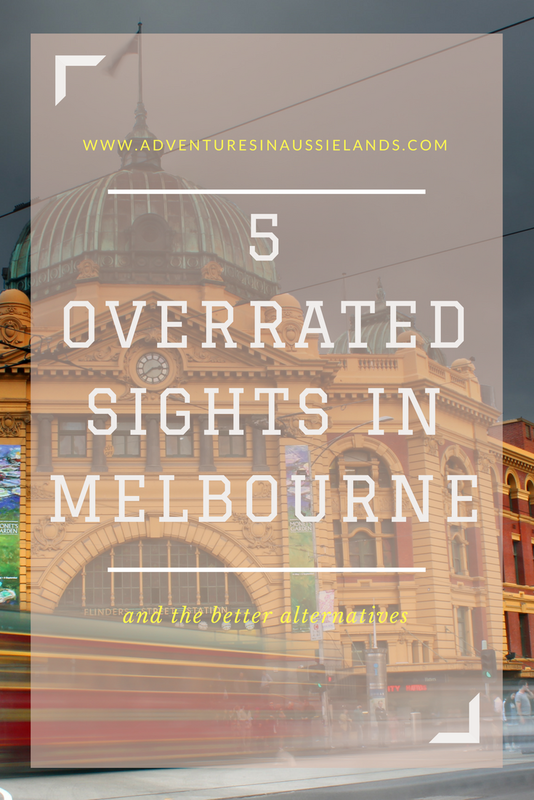 While this is also offered at the Melbourne Zoo, Healesville and Moonlit Sanctuary provide entrance and encounters at a fraction of the price. The Melbourne Star is similar to most large Ferris wheels around the world, except its initial launch was a bit rocky. There have been many design flaws with the Star that leads me to believe it’s a little less than safe (I’ll take my chances with the salt water crocs and drops bears before I will get on this thing). The information that is provided is less than accurate as well. It often gives nicknames to various landmarks that no Aussie actually uses. Where to go instead of the Melbourne Star: Again if you’re looking for a fantastic view of Melbourne, I would refer to the rooftop bars I mentioned earlier. If you’re looking for information about Melbourne, take a ride on the City Circle Tram. It's a free tram that gives you heaps of information about the various landmarks and areas you’re passing. 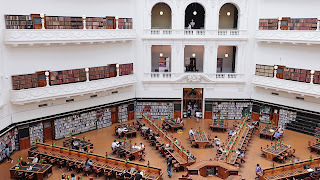 Another good alternative is to book in with one of Melbourne’s free walking tours. The guides are super knowledgeable and usually can point you in the direction of some fabulous restaurants and cafes. 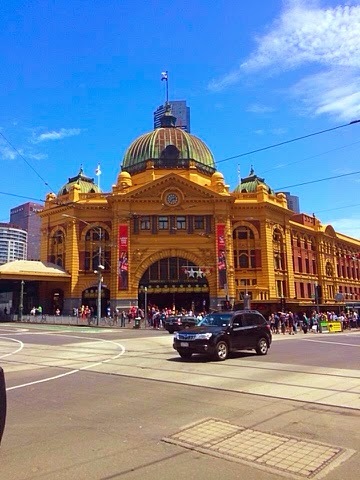 If you've ever visited Melbourne before, what are some attractions that didn't quite meet your expectations? Do you agree with the five listed above? Share your thoughts in the comment section! I moved to Melbs a month ago and haven't actually even see all of these sights! I agree that the rooftop bars are a much better alternative to Eureka Tower (although will probably still visit, nonetheless) and did not like the markets at all. However, I really enjoyed the zoo and went on a Monday, when it wasn't too crowded. Swings and roundabouts! It's still great to visit the Eureka tower. There are heaps of places/companies (if you use RED as your energy provider you'll be given a booklet of discounted coupons) that significantly decrease the price of going there! Thanks for sharing! I've had similar thoughts about the QVB markets, except for the one about not bargaining. As an Australia, I had no idea this was even possible until I was in my 20s and went overseas for the first time. I've also proudly not gone on any tourist ferris wheel anywhere in the world - so overpriced! They really are! That and I'm terrified of ferris wheels is a great excuse to never go on any! They're definitely pretty cool! The Melbourne Zoo is incredible. I prefer the sanctuaries because they're more intimate and you get a more realistic encounter with the animals. St Kilda is amazing! There are so many good like cafes and shops. Brunswick is another favourite of mine. Thanks for highlighting these places, I've never visited Australia. I was a little worried about that when I was writing the post. But I'm more of a path less travelled traveller and have read a few posts similar to this (in different cities of course) that I found incredibly helpful. The overhyped areas are always nice but sometimes its great to find a few hidden gems as well! Love this post! It's too easy to get sucked into tourist traps in a new city. Thanks for the great suggestions on what to do instead. The tourist traps can be nice but its always nice to find alternatives as well! It helps provide a different perspective on the city. I so appreciate your post on areas in Melbourne that are overrated or over priced. It's so disappointing to over pay for an underwhelming experience. I would definitely use your tip on going to a roof top bar versus Eureka Tower. Thank you! This is such a helpful post. I love when people give you the real scoop. Now for me to get over to that side of the world.